The WILDSEA Atlantic Ocean Heritage (WAOH!) Route is a discovery journey along the best diving destinations in Europe's Atlantic coastline. The Route celebrates the unique natural and cultural heritage of European coastal territories washed by the Atlantic Ocean, discovering a rich mosaic of adventures, tastes and amazing travel experiences. The Route flows along the coasts of Portimao, Sesimbra & Cascais (Portugal), Galicia (Spain), Cornwall (UK) and Donegal (Ireland). Get acquainted with the Route's fantastic landmark destinations and find your next Atlantic adventure amongst an amazing selection of diving, marine ecotourism and travel opportunities along the Route. Explore Europe's best Atlantic diving destinations following the WAOH! Route! 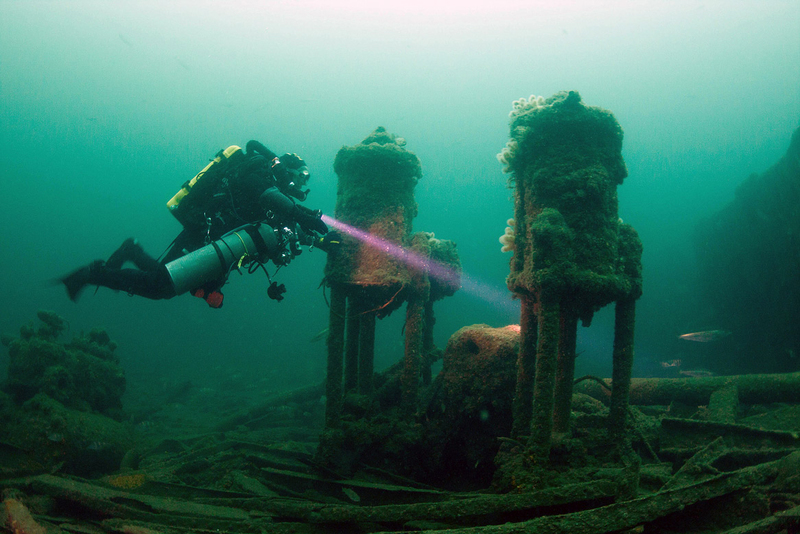 Discover 12 amazing shipwrecks along the WAOH! Route. As we get ready to present you with amazing adventures along the WAOH! Route, here's a sneak preview of some of the stunning landscapes you will find along its gorgeous Atlantic destinations.